While I try to finalise the presentation of a report on antiquities trafficking for a roundtable discussion at UNESCO, new evidence continues to emerge. This is a very brief and remote survey of English-language reports. It does not cover “collateral damage” and mass destruction of civilian property in a “scorched earth” policy in Cizre, Diyarbakir (in particular its Sur district), Silvan and elsewhere; it does not cover the lynching campaign against the homes of the Kurdish community and the offices of the “pro-Kurdish” (pro-human rights) People’s Democratic Party (HDP). 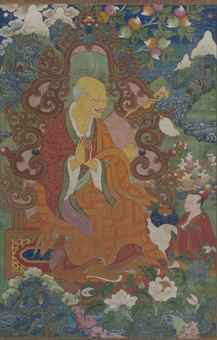 This painting of Arhat Angaja was “acquired from Ferri-Drouot” in Paris on the 26th of June 2015, but Ferri Drouot is “une société de ventes aux enchères” (an auction house for fine art and antiques). Who sold it to or through Ferri Drouot? 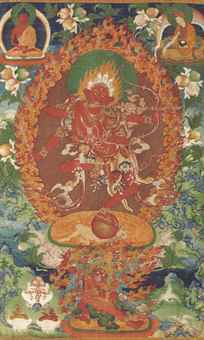 When and where did the anonymous previous owner acquire it? 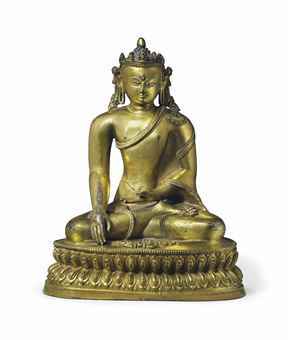 This fifteenth-century gilt bronze figure of Shakyamuni surfaced at Koller Auktionen in Switzerland on the 8th of May 2012 – how did it get there from Nepal? 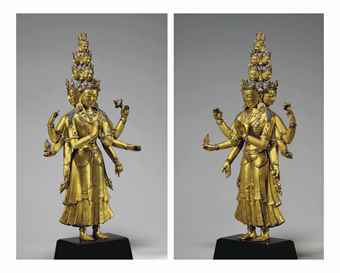 This gilt bronze figure of an eleven-headed Avalokiteshvara has been in an anonymous “private West Coast collection” since 2010, but it is from Tibet and has existed since the fifteenth or sixteenth century. 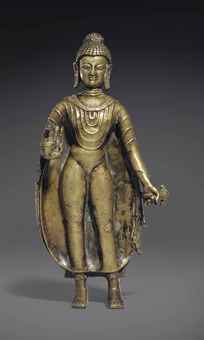 This eleventh or twelfth-century bronze figure of Buddha, apparently from Kashmir, was “acquired in London” in 1999. 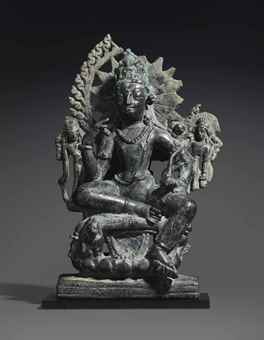 I don’t doubt the expert attribution of this statue to Kashmir, seemingly due to its style (as no other evidence has been presented). 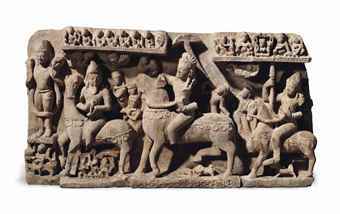 This “large and highly important” sandstone panel of Revanta and his entourage, “unique to sculptures of the [eighth-century] Pratihara period in north-central India”, was “acquired from Spink [and] Son, Ltd.” in London “by 1999”.